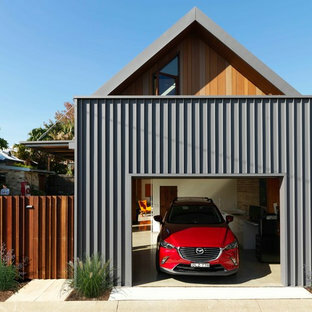 Garages and granny flats can be used to store large, infrequently used items, outdoor supplies, seasonal decor or items that simply don’t fit inside the house. 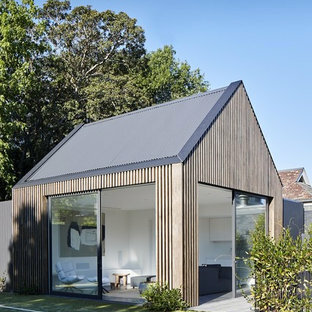 They can also be used as recreational rooms or can be converted into granny flats or studios, with sufficient ventilation, light and insulation. Use as a separate home office is on the rise, as is building self-contained granny flats which can be sub-let for passive income. 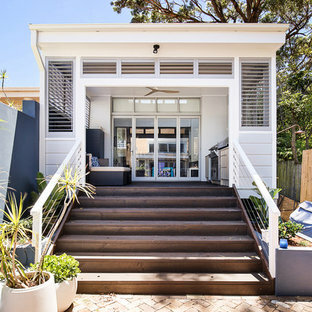 Whatever your project is, take a look at this Houzz image gallery to see how you can maximise this often overlooked space. 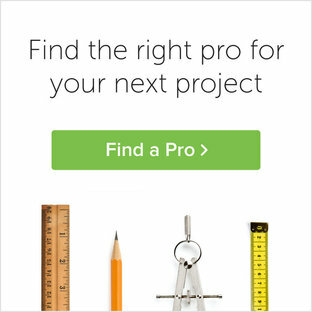 If you're looking to get started building or renovating yours, you'll be able to find the right architect to help get you started in our professional directory. If your granny flat should be self-contained, a kitchen designer may also be helpful. 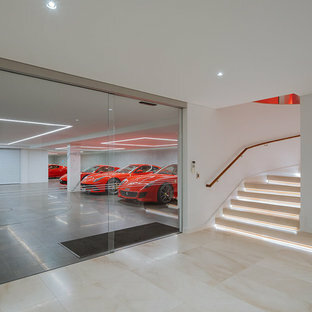 Front Driveway. 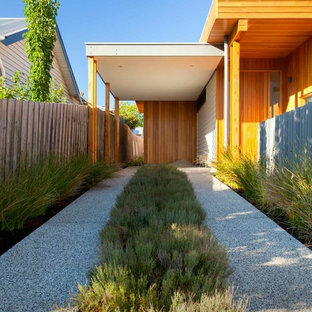 The driveway is bordered with an indigenous grass to the area Ficinia nodosa. The centre strip is planted out with thyme to give you sent as you drive over it. 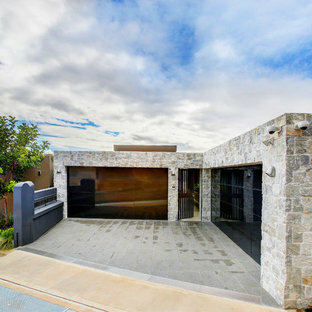 It sits in of a contemporary concrete driveway made with a pale exposed aggregate. 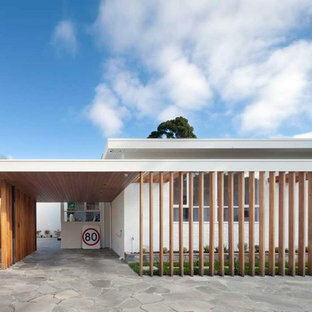 The cladding on the house is a fairly contemporary blonde Australian hardwood timber. Gables, glazing, heritage colours, rooflines and custom orb roofing from the main house are used as inspiration for the garden house. Centre to the building is a glass roof with louvres allowing light and ventilation to filter through. Weather board is used to finish the exterior as a sympathetic characteristic to the purpose of the rooms within. Mid Century Modern design to an existing mid-century home by Secret Design Studio. Documentation by Detail 9. 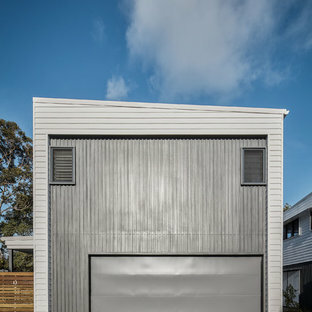 This is a free-standing studio/guest building that is located in the rear corner of the backyard, and covers the footprint of the previous brick shed building. It was designed to echo the style of the house. It contains an open plan living area, kitchenette, and bathroom. 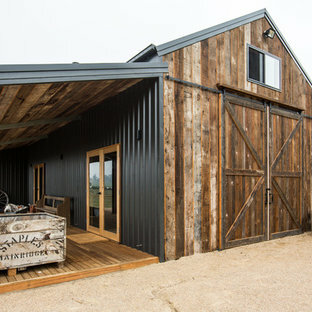 This is a free-standing studio/guest building that is located in the rear corner of the backyard, and covers the footprint of the previous brick shed building. It was designed to echo the style of the house. It contains an open plan living area, kitchenette, and bathroom.